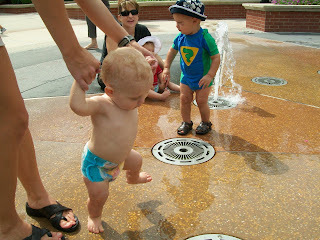 We met some friends at the fountains in Market Street and all the kids had a blast playing in the water. 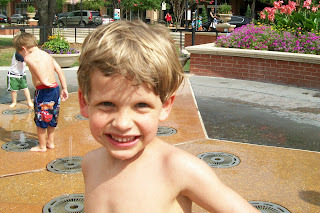 Dawson with a big smile as he enjoys the fountains. 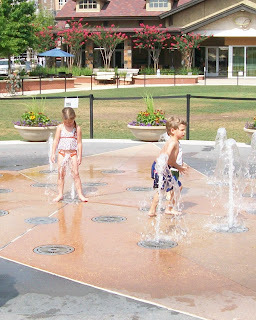 Dawson, Tanner, and Kaelin playing. 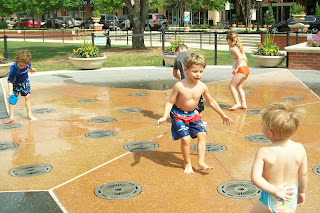 Dawson running from fountain to fountain to splash in each one. Dawson waiting for the water to pop up so he can get it. 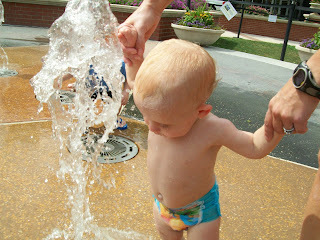 Brady likes putting his toes on the hole so that when the water shot up it sprayed all over him. Brady walking around checking out all the water holes. 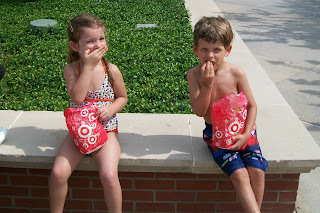 Kaelin and Dawson taking a break to snack on some popcorn. 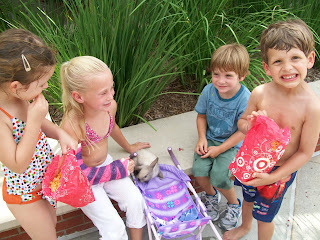 Checking out a little pet rabbit that some kids brought to the fountains. 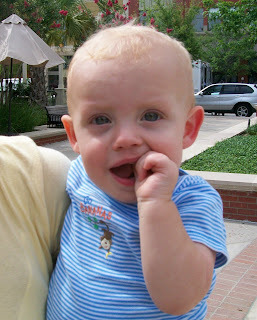 It was so good - it even rode around in the little stroller.